United Installers specizlizes in complete kitchen and bathroom remodeling. To view examples of our work please go to our gallery section. Floors, walls and back-splashes in granite, marble, traventine, ceramic and porcelain tile. Fine Carpentry kitchen cabinets, bathroom vanities, and storage closets. 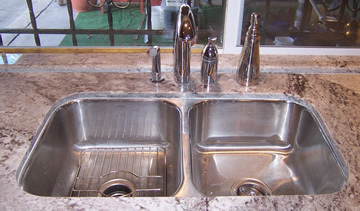 Applicances dishwashers, stoves, microwave ranges, fridges, and garbage disposers. Lighting pot and recessed lights. 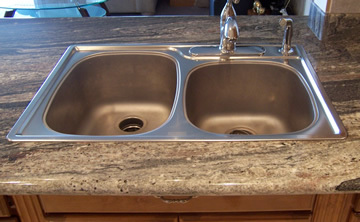 Counter-Tops in granite, caesar stone, or formica. Sinks under mount and top mount. Baththubs, jacuzzies, stand-up showers and more.